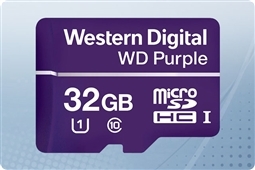 With Western Digital ever storage component is engineered to have a purpose. Beginning in 1970 Western Digital has remained a global leader in storage technologies. Today they remain the top in storage technology worldwide specializing in products such as internal storage, external drives, SD cards, and network attached storage (NAS) arrays. Aventis Systems proudly supports all of our WD Purple MicroSD Flash Memory Cards with a comprehensive 1 year parts replacement warranty with upgrades available to Express next day parts replacement, Extended term, and Secure Drive media retention. 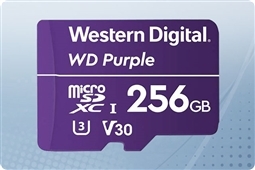 So shop our capacities below and bring the best in outdoor camera storage to your business today with the Western Digital Purple MicroSD Flash Memory Cards from Aventis Systems!